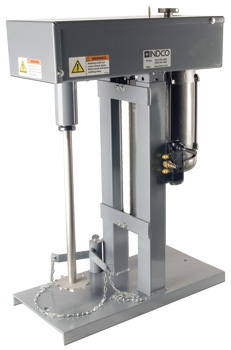 High Speed, Medium Duty Stirrer: Ideal for stirring larger laboratory batches. Equipped with adjustable chuck that will hold any shaft up to 1/2" diameter. Speed range 300 to 3000 RPM. Develops up to 3/4HP. Support rod is 5/8" diameter by 10" long. Stand and support clamp not included. See accessories. MX-AS2AMT Same as above, but includes digital tachometer that reads motor speed starting at 500 RPM P.O.R. MX-AS4AMT Same as above, but includes digital tachometer that reads motor speed starting at 500 RPM P.O.R. Totally enclosed fan cooled (TEFC) and explosion proof (EP) are standard models. Complete as illustrated. Can also be used with any blade or paddle with 1/2" bore. All except MX-HS-115TA, have motor leads only. Other motor options and speed ranges are available. 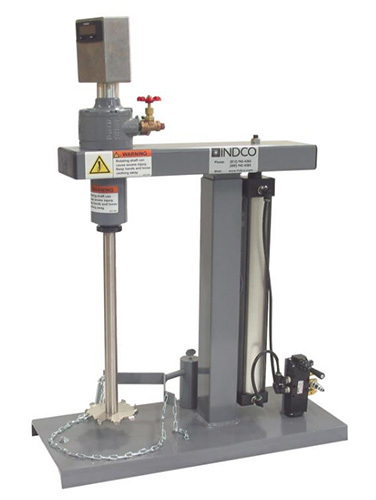 HSD01 model features a quickly adjustable lift height mechanism that raises and lowers 12". 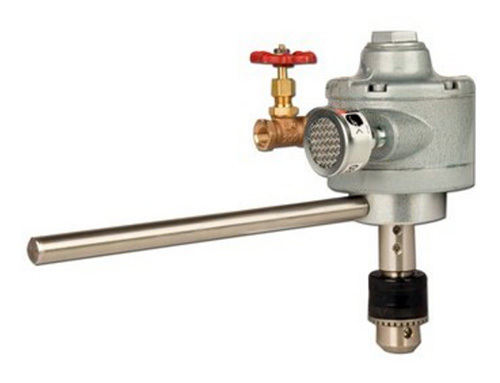 Comes with two 3/8" diameter by 12" long shafts, 2-1/2" mixing propeller, 2" dispersion blade and adapter. All shafts and impellers are stainless steel. HSD06 has the benefit of heavy-duty high speed ball bearings supporting the mixing shaft for increased life. Support stand is 30" tall, and will accept containers up to 18" diameter. Disperser fully adjustable up & down, side to side. 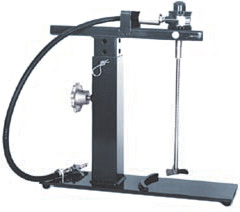 Standard equipment includes 1" by 12" long shaft, 2" dispersion blade, two clamp holders, and support stand. Can also be used with any blade or paddle with 1/2" bore. Air lift adjustable up to 15"